Santiago worked at the VA helping veterans. She was on a postdoctoral clinical fellowship in geropsychology at the South Texas Veterans Health Care System. SAN ANTONIO - Tania Rendo Santiago had a way of connecting with people, her friends say. Santiago's friend Kristina Arciniega said that's what drew her to the counseling psychologist. 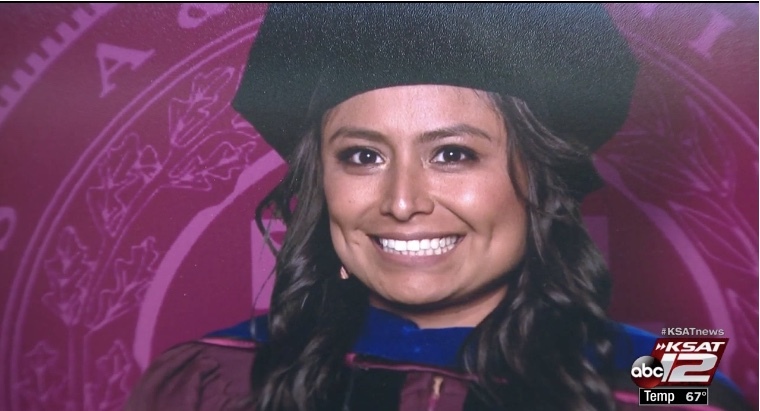 Arciniega said Santiago's personality is what helped her connect with her patients. When police arrived, officers said the gunman, Scott Caruso, 36, shot and killed himself. Friends said the two had been in a relationship.